How to Book 1 OAK Bottle Service at 1 OAK Nightclub? 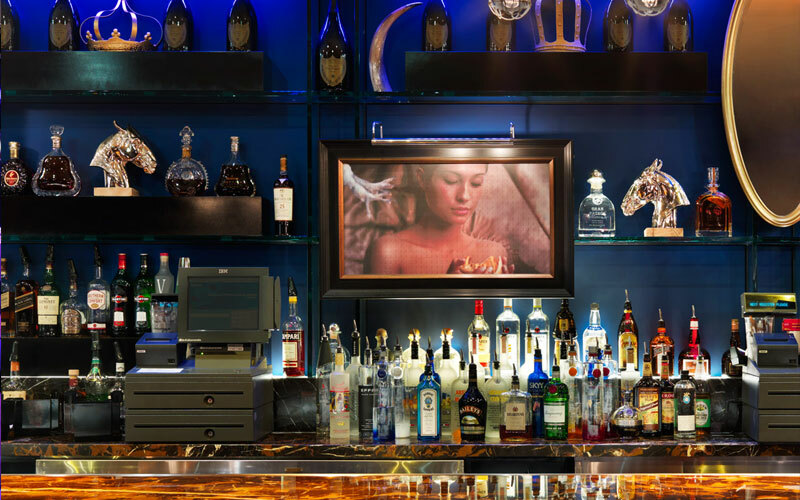 Trying to secure 1 OAK bottle service at 1 OAK Nightclub in Las Vegas NV at the Mirage Hotel and Casino with a reliable company that will secure your booking with the venue with no issues when you arrive? Las Vegas Nightclubs would like to handle all of your nightlife needs at this 16,000 square foot venue. This nightclub has a total of 64 VIP table locations, throughout 3 sections of the club that include 9 VIP Lounge, 7 Exist VIP Lounge, 9 Main Room, 19 Surrounding Dance Floor, and 15 Dance Floor tables. If you are wondering how to book 1 OAK bottle service at 1 OAK Nightclub in the Mirage Hotel you have come to the right place. The pricing of the table minimums may fluctuate slightly depending on the day of week, DJ, celebrity host, and if it’s a holiday. The prices of the table minimum are slightly more expensive on Friday, and Saturday night then they are on industry Wednesdays. You can expect the pricing to be the most expensive during holiday weekends. The venue does not bring in top tier DJ’s but they do bring in celebrity hosts which can raise the minimums. How much are tables for 1 OAK bottle service at 1 OAK Nightclub? Tables are $500 to $5000 depending on the real estate location in the club. Small tables in the main Room are the least expensive, and Dance Floor tables in the Main Room are the most expensive. How much are Small tables for 1 OAK bottle service at 1 OAK Nightclub? Small tables have 6 locations in the Main Room that require a table minimum that costs $500 to $1,500. On Wednesday nights you can expect to pay about $500, and on weekends you can expect to about $1,000 to $1,200. During holidays weekends you can expect to pay $1,500. Prices are an estimate based on 4 to 6 people in your group, and are subject to change at any time. How much are VIP Lounge tables for 1 OAK bottle service at 1 OAK Nightclub? VIP Lounge tables have 9 locations that require a table minimum that costs $1,000 to $1,500. On Wednesday nights you can expect to pay about $1,000, and on weekends you can expect to about $1,200. During holidays weekends you can expect to pay $1,500. Prices are an estimate based on 6 to 8 people in your group, and are subject to change at any time. How much are Exist VIP Lounge tables for 1 OAK bottle service at 1 OAK Nightclub? Exist VIP Lounge tables have 12 locations in the Main Room that require a table minimum that costs $1,000 to $1,500. On Wednesday nights you can expect to pay about $1,000, and on weekends you can expect to about $1,200. During holidays weekends you can expect to pay $1,500. Prices are an estimate based on 6 to 8 people in your group, and are subject to change at any time. How much are Back DJ Booth tables for 1 OAK bottle service at 1 OAK Nightclub? Back DJ Booth tables have 2 locations in the Main Room that require a table minimum that costs $2,000 to $2,500. On Wednesday nights you can expect to pay about $2,000, and on weekends you can expect to about $2,500. During holidays weekends you can expect to pay $2,500. Prices are an estimate based on 6 to 8 people in your group, and are subject to change at any time. How much are Surrounding Dance Floor tables for 1 OAK bottle service at 1 OAK Nightclub? Surrounding Dance Floor tables have 11 locations in the Main Room that require a table minimum that costs $1,000 to $1,500. On Wednesday nights you can expect to pay about $1,500, and on weekends you can expect to about $2,000. During holidays weekends you can expect to pay $2,000. Prices are an estimate based on 6 to 8 people in your group, and are subject to change at any time. How much are Dance Floor tables for 1 OAK bottle service at 1 OAK Nightclub? Dance Floor tables have 15 locations in the Main Room that require a table minimum that costs $3,000 to $5,000. On Wednesday nights you can expect to pay about $3,000, and on weekends you can expect to about $4,000 to $5,000. During holidays weekends you can expect to pay $5,000 or more. Prices are an estimate based on 6 to 8 people in your group, and are subject to change at any time. How much are bottles of Champagne with 1 OAK bottle service at 1 OAK Nightclub? Champagne ranges from $550 to $50,000 per bottle for 750ML to 6 Liter sizes. Large Format Champagne is $3,000 to $50,000 for 3 Liter to 6 Liter sizes by Veuve Clicquot, Moet & Chandon, Beau Joie, Dom Perignon, Perrier Jouet, Louis Roederer, and Armand de Brignac. Magnum Champagne is $1,050 to $5,000 for 1.5 Liters by Dom Perignon, Veuve Clicquot, Moet & Chandon, Perrier Jouet, Louis Roederer, and Armand de Brignac. Regular size Champagne is $550 to $2,500 for 750ML by Veuve Clicquot , Moet & Chandon, Perrier Jouet , Beau Joie, Dom Perignon, Louis Roederer, and Armand de Brignac. Pricing is subject to change at any time. How much are bottles of Liquor with 1 OAK bottle service at 1 OAK Nightclub? Liquor ranges from $475 to $9,995 per bottle. Magnum Vodka is $1,095 for 1.75 Liters by Ciroc, Grey Goose, and Belvedere. Regular size Vodka is $475 to $595 for 1 Liter by So Bleu, Skyy, Ketel One, Elyx, Ciroc, Belvedere, and Grey Goose. Magnum Tequila is $1,095 to $2,995 for 1.75 Liters by Patron labels. Regular size Tequila is $595 to $1,295 for 750ML by Patron, Avion, Casamigos, and Don Julio. Whiskey is $575 to $1,095 by for 1 Litr by Jack Daniels, Crown Royal, and Jameson. Bourbon is $575 for 1 Liter by Knob Creek, Maker’s Mark, and Bulleit. Rum is $550 for 1 Liter by Bacardi, Captain Morgan, and Malibu. Gin is $550 to $595 for 1 Liter by Bombay Sapphire, and Tanqueray. Scotch is $550 to $1,595 for 750ML by Dewars, Johnnie Walker, The Macallan, and Chivas Regal. Liqueur is $550 to $650 for 750ML by Hpnotiq, Jagermeister, and Grand Marnier. Cognac is $650 to $9,995 for 1 Liter by Hennessy, The Macallan, and Chivas Regal. Pricing is subject to change at any time. How much are bottles of Wine with 1 OAK bottle service at 1 OAK nightclub? Wine ranges from $550 to $695 per bottle. Wine is $550 for 750ML by Egon Muller Schazhofberger Riesling, Freestone Chardonnay, and Stag’s Leap Frog Cabernet Sauvignon. It’s $695 for a 750ML bottle of Opus One. Pricing is subject to change at any time. What packages are there for 1 OAK bottle service at 1 OAK Nightclub? Package 1 = The “Best of Both Worlds” includes (1) 750ML bottle of Dom Perignon, and (1) 1 Liter bottle of Belvedere Vodka for $1,350. Package 2 = “New York to Las Vegas” includes (1) 750ML bottle of Moet Imperial Rose Champagne, (2) 1 Liter bottles of Belvedere Vodka, (6) cans of Red Bull, and (6) bottles of Fiji water for $1,500. Package 3 = “Los Angeles to Las Vegas” includes (2) 750ML bottles of Veuve Cliquot Champagne, (1) 1 Liter bottle of Grey Goose Vodka, (6) cans of Red Bull, and (6) bottles of Fiji water for $1,500. Package 4 = “Ended up at 1 OAK” includes (3) 750ML bottles of Veuve Cliquot Champagne, (2) 1 Liter bottles of Belvedere Vodka, (12) cans of Red Bull, and (12) bottles of Fiji water for $2,500. These packages cannot be used in conjunction with another discount or promotion. What type of mixers are included with 1 OAK bottle service at 1 OAK Nightclub? Your reservation will entitle you to standard mixers of your choice that include Pineapple, Orange, and Cranberry juice, along with Coke, Sprite, Tonic, and Club Soda. You can also compliment your bottle with a 6 pack of domestic or imported beer, as well as a 6 pack of regular or sugar free Red Bull for $60. You can also purchase 6 bottles of Fiji Water for $54, or 6 Resqwaters for $60. How much are drink prices with 1 OAK bottle service at 1 OAK Nightclub? Cocktails are $12 to $15, Beers are $10, and Shots are $10. If you have a table and are going to buy individual drinks, make sure you order them from your cocktail waitress. What happens after I book 1 OAK bottle service at 1 OAK Nightclub? After booking though our company, our clients will receive an email confirmation with the details of their reservation, and instructions to follow upon their arrival. As soon as they arrive at the nightclub they will link up with our represented host who will expedite the waiting time in line. Clients will be escorted to their table where they will be greeted by their beautiful cocktail waitress for the evening. The cocktail waitress will hand them a menu, and they can decide if they would like to pay with cash or credit. 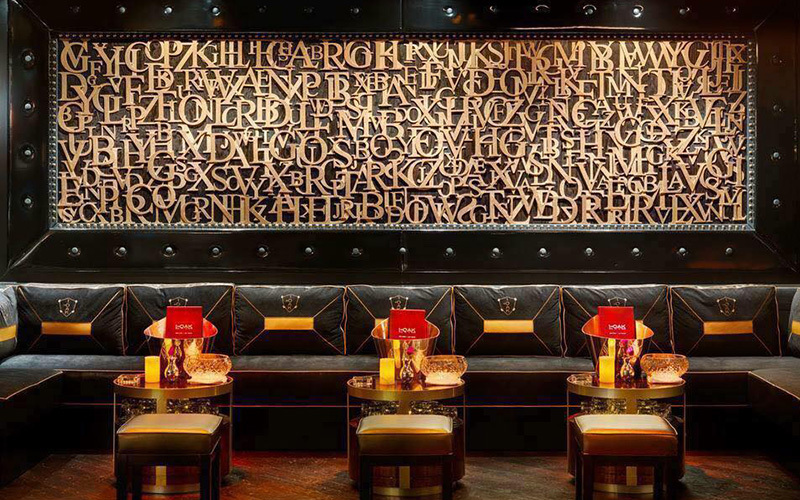 How much are taxes and gratuities with 1 OAK bottle service at 1 OAK Nightclub? All reservations have an 8.1% state sales tax, 22% gratuity, and a 5% venue and resort fee. 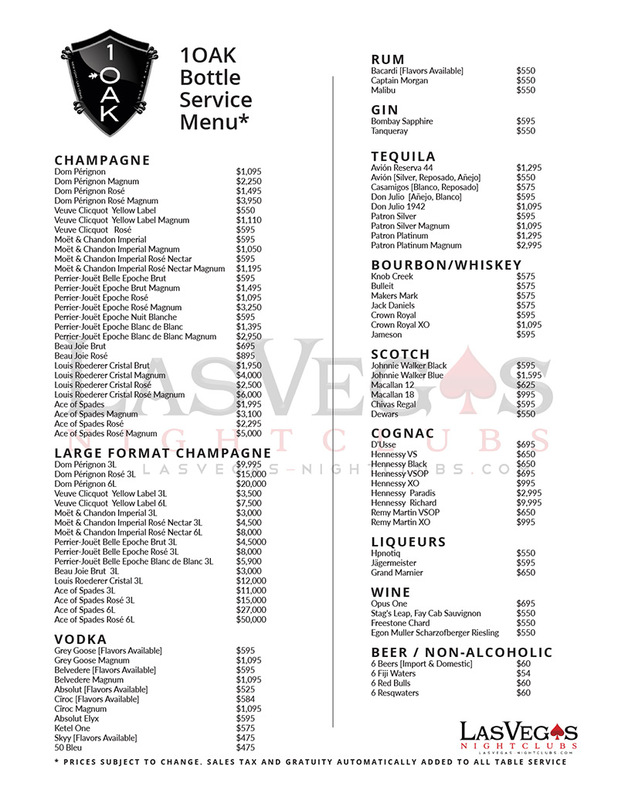 Follow the links for Las Vegas bottle service information, or check out our list of Las Vegas bottle service deals. Learn about the 1 OAK guestlist. 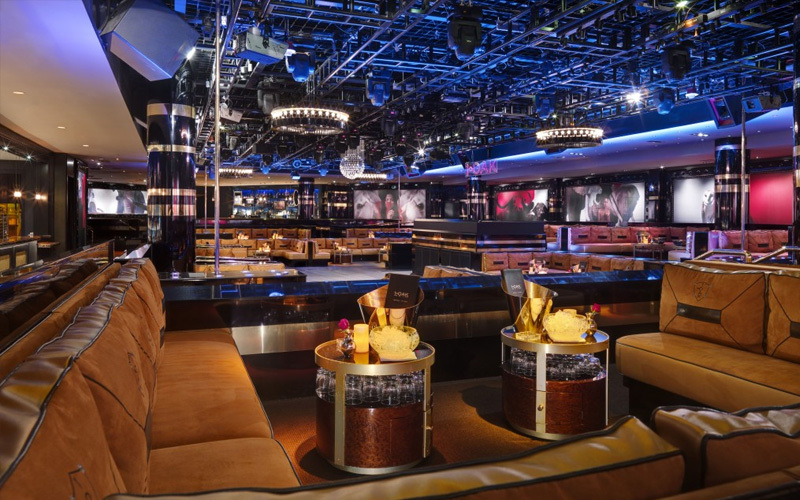 Learn more about 1 OAK Nightclub Las Vegas. 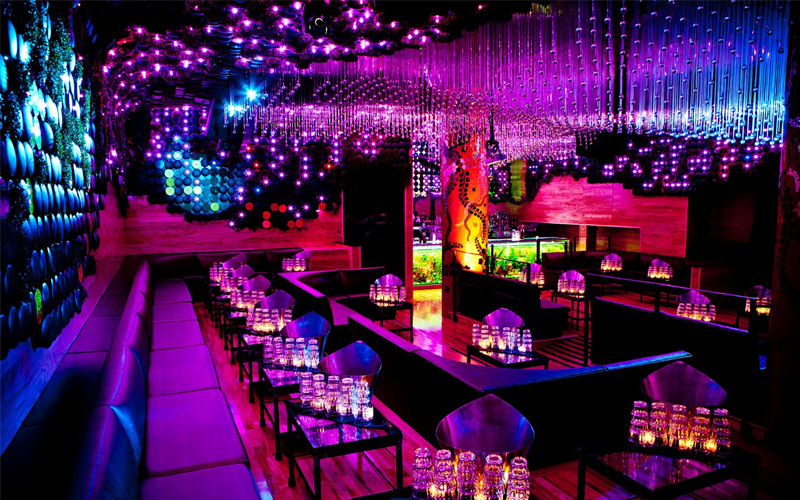 Fashionable nightclub catering to celebrity entertainers & upscale-chic crowds in a ritzy scene.